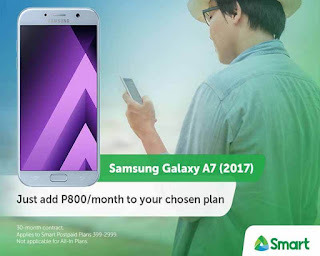 The new Samsung Galaxy A7 2017 model is now offered free when you apply for Smart postpaid plans. Be the first to own this unit by just adding 800 pesos per month on any of the selected plans starting from 399 to 2499 with a 30-month contract or lock-in period. If you choose Plan 999, your monthly would Php999.00 plus additional 800 pesos so your total monthly bill is 1799. You’ll also have to pay the same amount as initial cash out. You can apply via Smart store online or visit at your nearest company’s wireless center nearest to inquire for availability and more details about this offer. 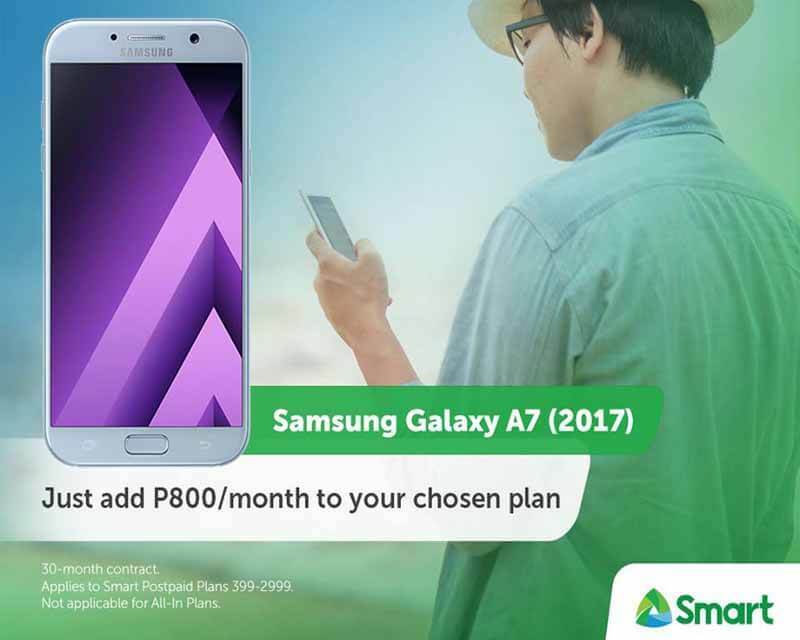 Aside from free Galaxy A7 when you apply to Smart Postpaid, you’ll also get added network services such as call, texts and data monthly. See inclusions offered by Smart as your reference. This unit is also available on other plan denominations. Check out the featured specifications of A7 offered by the Smart Postpaid plan.